One thing I mentioned last week was the whole concept of having the carrot dangled in front of us–as if we need this. I’d go so far to say that we should feel our intelligence is being insulted if we have to be told to have a specific goal in a game. Sure, it’s a beautiful thing to have a story crafted to guide us and engage us, but shouldn’t we find value in the journey itself? Once upon a time I played MMOs such as World of Warcraft and Lord of the Rings Online where your goal for your character was maxing your stats, getting the best gear (that would always be updated and render your last gear obsolete), and running the same dungeons over and over. I remember in LOTRO’s Riders of Rohan expansion, finally getting all the top gear and feeling proud that I finally accomplished it. Actually, I got TWO sets for my Captain (one for healing and one for DPS), and then stepped away to play Guild Wars 2 for a bit. When I came back, it was all useless. […]shouldn’t we find value in the journey itself? Yet this was the premise of every game I’ve played my whole life. Console RPGs, I’d get the best gear and hit max level and kick the living daylights out of the final boss. In WoW, I just wanted to get my character to max level (I played pre-Burning Crusade, which was pretty awesome back then). Guild Wars 1, I felt myself confused after I hit Lv.20 because it made no sense to me. It was all aesthetics. There was no carrot to chase, other than completing objectives that were set. Wasn’t this a good thing? Isn’t the intended direction of Guild Wars 2 exactly what I needed? Yet I’ve been so conditioned. Perhaps I’m being too idealistic, because as I noted in my last post, I tend to need that carrot. I love the idea of freedom and exploration, but when it all comes down to it I just get bored. Too much freedom and I feel like I’ve completed everything and move on. Take the acclaimed Minecraft, for instance. It’s a purely sandbox game that’s based on discovery and exploration, learning more and more about what you’re capable of through different materials you gather and combine. It’s tremendously fun to play, but I get quite tired of it after a while. Why? The lack of the carrot. In terms of Guild Wars 2, it became extremely clear that when I got all 80’s I felt like I had achieved everything. My completion of the game was tied to reaching “the end.” It’s where people fall flat on their faces and ask: “Now what? Where’s the end-game content?” To be honest, this is really hard reprogramming that ArenaNet has been trying to do. Instead, they’re moving into the concept of meaningful, horizontal progression that goes beyond fashion through their mastery system in Heart of Thorns. Will this be enough of a carrot? Will progression in the mastery system be gained through multiple areas of the game? Will exploration and pure enjoyment of Tyria feed into this? I’m honestly not sure how this could be done well. Either you constantly dangle carrots, or you open up the sandbox. Is it possible to work somewhere in-between? I know ArenaNet is trying to find a beautiful medium there, and I hope they achieve it. I think they’re on the right track, but it’s definitely taking some reconditioning of… well, me. Maybe this blog post is ending without an answer. It’s more of a scattershot of thoughts based upon last week’s post. I guess I want to get more out of my game and I’m finding some ways. Do you have any suggestions on how to get more out of Guild Wars 2? Be sure to post your comments below. I’d love to read, and respond to, as many as possible! I find that we, as people, are always dissatisfied. Lately I’ve been thinking about my posts on wondering what’s even happening with Heart of Thorns. I’m very thankful that a lot has been revealed so far about elite specializations and the specialization system as a whole, but I can’t help but still feeling dissatisfied. I try to log in and although I’ve had a bit of renewed excitement over my Guard by trying different weapon sets and builds in WvW (yet I keep going back to a Hammer + something Medi Guard for roaming), I still feel like things are lacking. 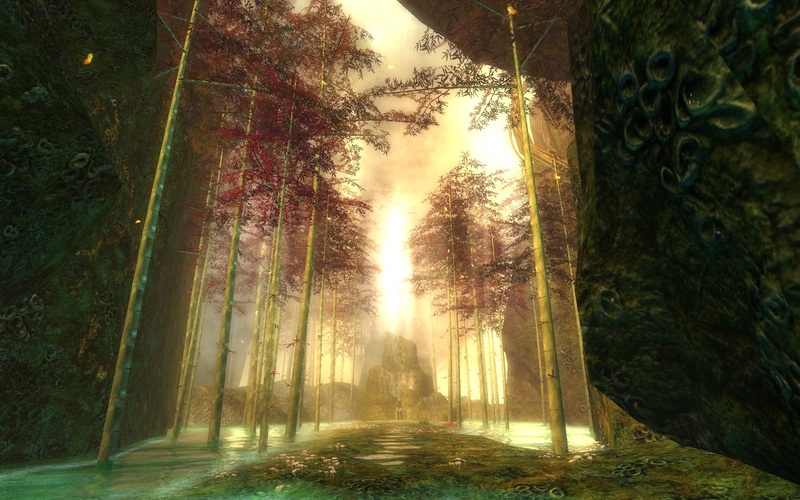 Being the introspective person I am, it’s got me wondering… what’s my issue with where things are at in Guild Wars 2 right now? Is it actually ArenaNet, or is it me? Am I entitled for wanting more content, even though they’ve released quite a bit over the years? (Yes, I stand by that) Am I wrong in feeling like I want more content now? It’s really hard to know. Everyone has an opinion on it, and I’m not sure if my expectations are a little too crazy. Part of me really misses the Living Story updates because of the small “sandboxy” feel to it. Perhaps, I’m just impatient as a whole for Heart of Thorns to come out because of all that’s been promised? So why is it that I feel tired of Silverwastes, Dry Top, dungeons, making a legendary, etc? Probably because I have it in my mind that I need to chase the carrot. It’s been conditioned in my head by games my whole life. Better loot, more power, and more “stuff” for the sake of stuff. I’m really asking myself as to whether I’m going to enjoy what’s offered to me, or end up going crazy and getting sick of the game? If it’s a constant grind for gold and more “things,” then I’m going to lose interest. I think I need to step back and enjoy what has been created, whether it’s little things in Hoelbrak or hidden gems in Malchor’s Leap. Ultimately, while I wait for Heart of Thorns to release, the biggest problem is me–I keep wanting more, but more always seems like too much work. Is it possible for me to simply be happy with what I have in Guild Wars 2? There you have it, people. Some random, unedited, free-writing from the brain things inside my head. Does it resonate with you? Have you asked that question about chasing the carrot at the end of the stick? Where are you at? Post your questions or comments below, because I’d love to hear from you! For those of you who have been reading my blog for a while, you know that I’m not a hyper-critical person. I generally don’t use my blog to vent frustration, and this blog post isn’t intended to be that at all. What I do want to spend a few moments highlighting is the reality of where we are today, and what I believe many players are feeling. Although that didn’t phase me much at first, I look back to that announcement and noticed a severe lack of direction. I honestly have taken the approach as “let’s show them lots of great stuff, build it up to be astounding, and then hope that rides us to when we can finally release it.” Frankly, I don’t think that’s a good approach at all. Guild Wars 2 is my favourite game, and I’m actually rather disappointed that ArenaNet has taken this route. No release date? Not even a release goal? No explanation as to what’s going to happen until then? Sure, we got a few minor festivals, but that hasn’t really done anything when they set the precedent of Living Story (which we know is done until Heart of Thorns). On top of that, I notice the slow roll-out of purchasable things in the gem store to keep them going. I’m not against this at all, but for me it puts a bad taste in my mouth. I think this all could have been done better. “Well, you’re complaining, so give some ideas on how it should have been better!” you might say. Well, I sort of have some. Expansions should never be announced without a projected release quarter. Sure, this gives the challenge of being seen as having a “broken promise,” but people are going to have unrealistic expectations. Such is consumerism. Anytime you’re going to release something that’s game-changing, you need to at least have a projection for people to work with. Otherwise you end up with your players being disillusioned. Judging from many people I’ve encountered in-game, that’s growing at a rapid rate. At least, that’s been my experience. Be clear about your game plan. This has been one of ArenaNet’s biggest challenges. When they tried to be clear, they felt they got bit, so they pulled back completely. I don’t think this was a smart move at all. I think they need to be clear about where they’re going from here. Even if they don’t give out a projected release date, they should at least say what they’re doing in-between. The problem is if they say “nothing,” then people will leave until the expansion. There’s due diligence that needs to be done on their part. At the moment, I’m left wondering if they even have a game plan until then, or if we’re just abandoned. The time between Living Story updates were painful enough, but we at least knew what would happen–we knew the game plan. They’ve played around with quite a few things that used to be in the game as small updates. For instance, SAB was a huge hit among many (I’m highlighting that, in spite of the fact that I didn’t like it at all, most people did). Bring it back. Who cares if there’s nothing new? There’s an expansion coming. Is it possible to reactivate it? Well, I don’t work for ArenaNet but I would assume there is. Perhaps starting another WvW Tournament would be an effective thing to keep things going for a bit? Maybe even a few more basic “Festival” things that they’ve done before could work? I’m not sure how, as Dragon Bash had too much LS storyline in it to my understanding (I was absent during that time), and the Zephyrites are now grounded (no Labyrinthine Cliffs). Still, small things need to be done to keep people engaged when that was the premise of your game since near the beginning. Now please hear me out. I’m not *complaining* per se. I’m simply pointing out that there are elements that I’m not pleased with, and I’m using this as a medium to hopefully open up some dialogue as to what people think could improve. I’m still committed to Guild Wars 2 and adore it. I’ve put lots of real cash into the game to support ArenaNet as I love what they’ve been doing. What I will say is that I don’t even look forward to logging in very often anymore, and that has a lot to do with the current approach–pure silence. “When it’s ready.” <– That line right there? It needs to die. It feels rather insulting, to be honest. “Let’s give you lots of great stuff to look forward to, but you don’t know when you’ll ever get it. 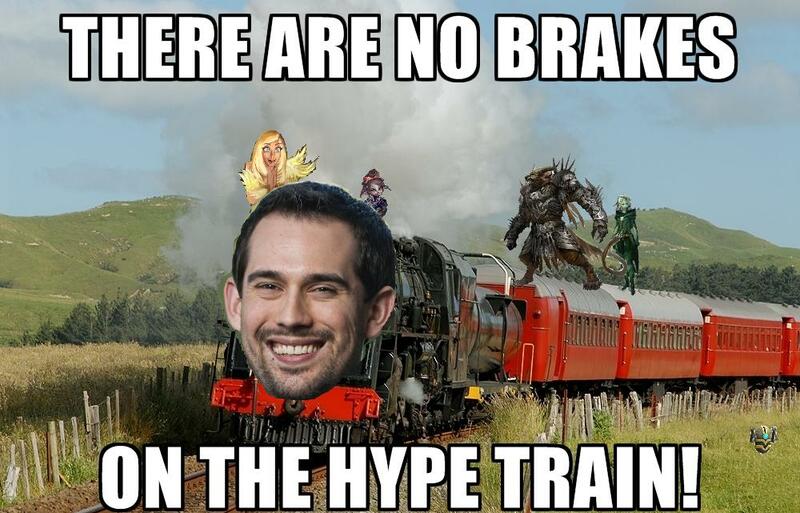 Honestly, I was excited on that day for Heart of Thorns. Now? I honestly don’t feel like I care about it because I feel like it’ll never happen. I’m being shown snippets of stuff but none of it really feels complete. Yes, we got the Stronghold Beta (and I’m not a huge PvP guy, I’ll admit), and I think that was a very wise move on their part. Still, I think that things could have been done better. The bottom line is that I hope ArenaNet starts communicating more openly and giving us something solid to work with. Why? Because I love Guild Wars 2, and I wholeheartedly want it to be even better than it already is! What’re your thoughts on how the expansion has been handled so far? Post in the comments below and please, keep it respectful of others!